"Unique | Elegant | Memorable | Fun"
Based in Kent, I provide entertainment and specialise in weddings. 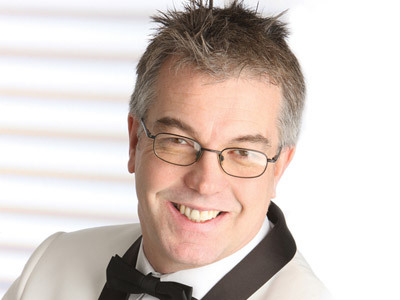 As a full time Master of Ceremonies and Wedding DJ, with over 25 years experience, I will personalise your special day through consultations and planning meetings. Whilst I am professional and passionate about my business, you and your guests will always remain the focus of your party. Appropriate attire, customer service and punctuality are as important to me as the fun, the music and the atmosphere. Even your colour scheme is as important to me as it is to you! Having developed my craft over the last 25 years with over 1000 weddings and events at over 200 different venues, I have acquired a wealth of experience and expertise and have been lucky enough to witness some fabulously unique weddings. I love questions from brides and bridegrooms! It means you care and are passionate about your wedding day. I am looking forward to hearing a great deal more from all those adventurous couples who are looking to make their wedding the best wedding they and their friends have ever been to. I am available for face to face meetings at your home, my home office, your wedding venue or a local coffee shop. Ask me questions and then get a feel of what I do. I will be asking you questions too, to see what makes you both tick. Or you may wish to make contact by email, via my website, or better still give me a call on the telephone. Required by many venues, Harry Kilb Wedding Entertainment has a current PLI policy with National Association of Disc Jockeys in the amount of £10 million. Also required by many venues, Harry Kilb Wedding Entertainment has supplied satisfactory evidence of holding current PAT inspections of their equipment dated within the last 12 months. A Method Statement outlining Harry Kilb Wedding Entertainment&apos;s Health & Safety procedure for setting up disco equipment has been provided. Harry Kilb Wedding Entertainment has provided Risk Assessments undertaken at events sourced via needadisco.com, indicating that they can undertake these competently. Why do people choose to book Harry Kilb Wedding Entertainment? "Harry was just fantastic. He did absolutely everything we wanted and much, much more. 10 out of 10 from start to finish. The "pre" event meeting was very positive and helpful, he reassured us every step of the way and was so professional it was such a refreshing change from most things you book either on line or through an agent. From start to finish the whole experience was first class. I cannot recommend Harry enough and we will certainly be using him again. Both Harry and needadisco.com have been brilliant I cannot find any faults or anything negative to say." "Many thanks for your kind words. It was a delight to entertain all your friends and family until the early hours of the morning. I hope to play for you all again soon..."
"Very professional service and the setup and equipment were outstanding. The tuxedos were just the icing on a very professional setup." "It was a delight and pleasure to entertain you all. I wish you a long and happy marriage, and see you at the anniversary party!!" 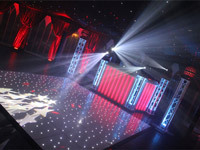 Harry Kilb Wedding Entertainment also offers a range of additional party services not directly linked to musical entertainment. If you are contacting Harry Kilb Wedding Entertainment about an event, it's always a good idea to include the DATE, LOCATION, EVENT TYPE, AGE GROUP and TIMINGS to speed things up!